Today is the last day of December, which means it is the last day of my CHALLENGE!! My Goal was to run a minimum of 1 mile per day, every day in December, and I am happy to report that I accomplished my GOAL!!! 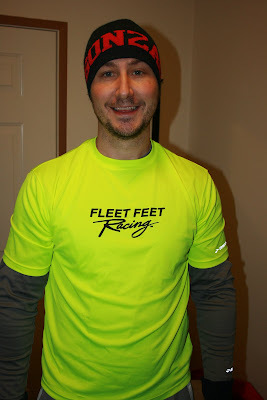 **Special thanks to Mom vs. Marathon for the chilly 8 miler this morning and for the awesome coaching present!!! 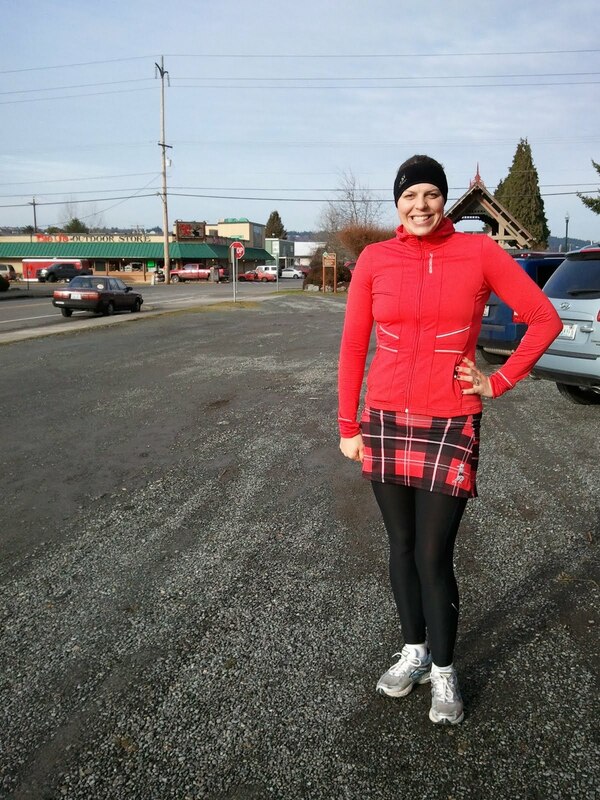 This challenge was just what I needed to get back into the routine of Running. I had let the excuses NOT TO take over my life. This month I realized that I can fit in a mile or workout every day, all it takes is the energy to GO. To get up, get dressed and GO.. I LOVE my rest days and I am most likely going to end this STREAK very soon for that reason. Today I celebrate a Small Goal that I did just for me, to re-light the SPARK that had gone out.... I still dont know what my Running Goals are for 2012, but this STREAK helped bring back the excitement of working toward and reaching my goals..
Did you meet the DECEMBER CHALLENGE? Share your stats and thoughts. What are you excited about for 2012?? Day #25 of the streak continued with a 1 miler around my neighborhood while wearing a light strand that blinked and sang... 3 notable things about this run. 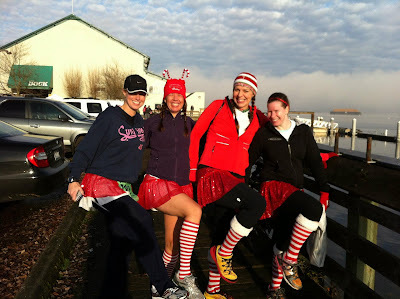 1- It is NOT good to run after a FULL Turkey dinner and a couple adult beverages. 2- A person on their front lawn said "Merry Christmas" quickly followed by "Are you trying to run off your turkey?" 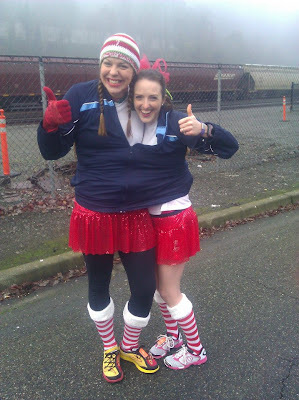 3- I had to hold the lights the entire run....how people run with costumes and things is beyond me.. 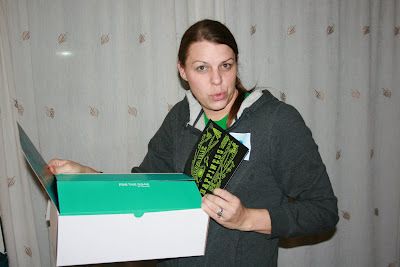 Thanks to everyone who participated in my Giveaways lately....sorry I have been MIA, I am on break from my Big Girl job and do not want to be on the computer. **Email me your address ladies...so you can get your PRIZE!! What kind of Christmas are you? Last night was the Tour De Lights in Bonney Lake put on by Fleet Feet Bonney Lake and Brooks. This is a fun and FREE event to support the local food bank. Tall Grandma watched the Little Studs so Muscle Man and I could be jogger free. Was great to see my friends Janna, Jessica and Cindy... and to run with Tall Sister, Zoe & Goober!! It was COLD but the lights were sparkling and my Knuckle Lights HERE kept our path bright. 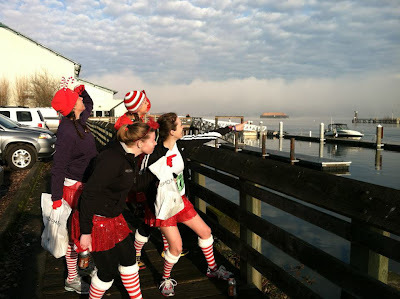 It was a "Fun Run" so there was no worry about time or pace.. we just enjoyed the view, laughed and got a little exercise. Of course we represented Team Sparkle in our Sparkle Skirts... The lights did not disappoint and Tall Sister met her goal of running the whole time.. SCORE!! We did not take too many photos but miss Zoe snapped this one for us. So the CHALLENGE continues 21 days strong!!! I have not been putting up major mileage, but I am proud to have run every day this month.. 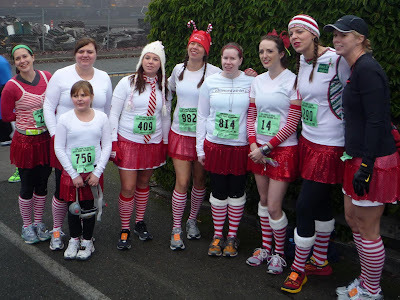 I truly encourage anyone who is struggling to get back to a routine to go for a CHALLENGE.. 1 mile per day, it is amazing what it can do..
1. Who is your Favorite Fictional holiday character? 2. How is your house decorated? 3. What is on the table? 4. On the top of your tree is..
5. Under the tree is..
A- Piles and piles of gifts for miles. B- A few special and thoughtful gifts. 6. For Christmas I like to..
10. This year I will travel by ___ for the holidays. 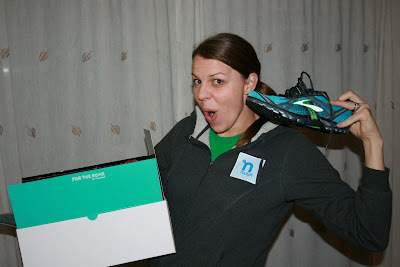 If you humor me with this little quiz you will be entered to win 3 tubes of NUUN... so JOIN in.. 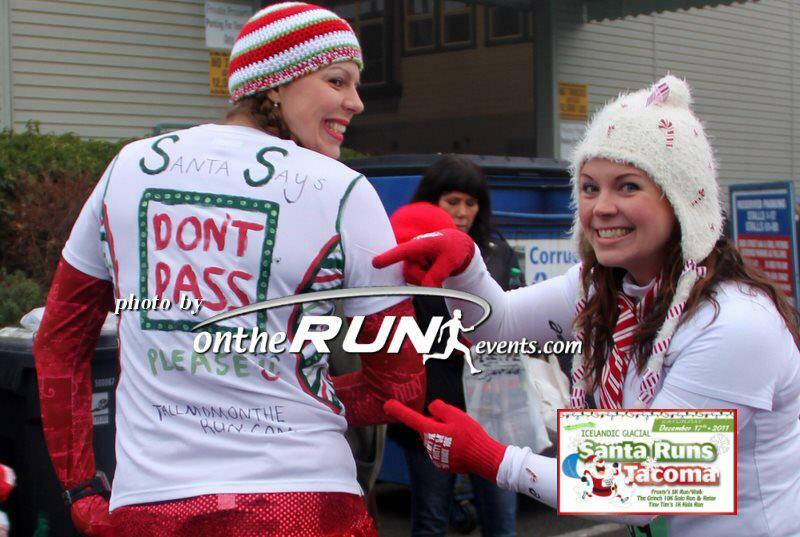 This was my second year Running Santa Runs Tacoma 5K and I LOVE LOVE LOVE this race!! Only takes 20 minutes to get to the race, I get to dress up, the people around me are all in fun costumes, time with my friends, and post race grub.. PERFECT!! Kim HERE and I were to the parking lot EARLY, sorry KIM!! But we scored great parking, got our packets easily and headed back to the car to chat and stay warm. Our buddies slowly showed up with Alma HERE first, she sat in the car too until we opted to head out to the COLD.. I had a toss-away and layers so I was pretty warm.. The girls went to Kim's car to stash their bags so I hung with Tiff.. Just then a Race photog came... Had to take advantage of the professional photos... So glad I did!! Onetherunevents does a great job with their photos..
Had to get my shirt in there... The girls came back so we posed for a few pictures in our Team Sparkle skirts. Honey Buckets in the background. The photographer came back and asked us if we would like to film a message for the troops.. OF COURSE!! Kerrie had the idea to sing "We Wish You a Merry Christmas" and Alma added that we should say "Thank You" at the end.. PERFECT!! I am excited to see the video..
We wandered around looking for the costume contest... which, as I thought, was at the start line area..
Zoe had her camera out, generally I don't love Candids but this one is pretty cute.. Thanks Zoe! We did a little conga line in front of the judge but they were not impressed, we plan to have better costumes next year!! The good thing was we were positioned in front for the race.. Zoe was freezing so I shared my XXL toss away, Kadie's daughter zipped us up..
Siamese Sparkle Twins.. HEHE.. As we stood and waited to start Amy N HERE introduced herself.. She looked FAST so I asked her if she was going to win, she said No.. (Note she got a 20:03 and 3rd for 25-29, FAST) It was so loud I didn't realize that the National Anthem was being played.. and before we knew it we were off.. The race starts uphill, I felt AWESOME, yawning at the start line which is a good sign for me. Kim was on my left and we CRUISED the first mile at 7:17. 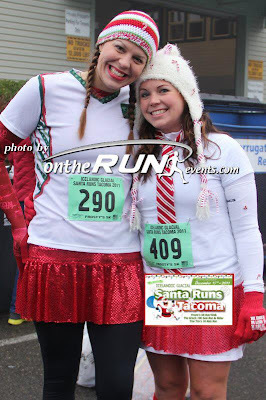 My plan was to go about 7:23 for a sub 23:00 Finish, which would get my a course PR and Kim her PR. I knew we did the first mile a bit fast but the end of the course has a hill and we needed those seconds. I could not believe how fast the race was zooming by..
As we approached the half-way point there was a Snowman at the turn, so cute! I love this part of the race because we got to see our buddies on the way back. I could feel Kim slipping back, but I kept pace hoping she would get her second wind. Waves at my girls who all looked strong. Mile 2 was 7:37 which included me running backward and sideways, not sure if it was the best thing to do for Kim but I hoped that she would focus on me and not the PAIN. She was giving it everything she had. I kept the pace as she slid further and further behind, I felt bad, I didn't know what to do..
Alma passed me and I had a choice.. 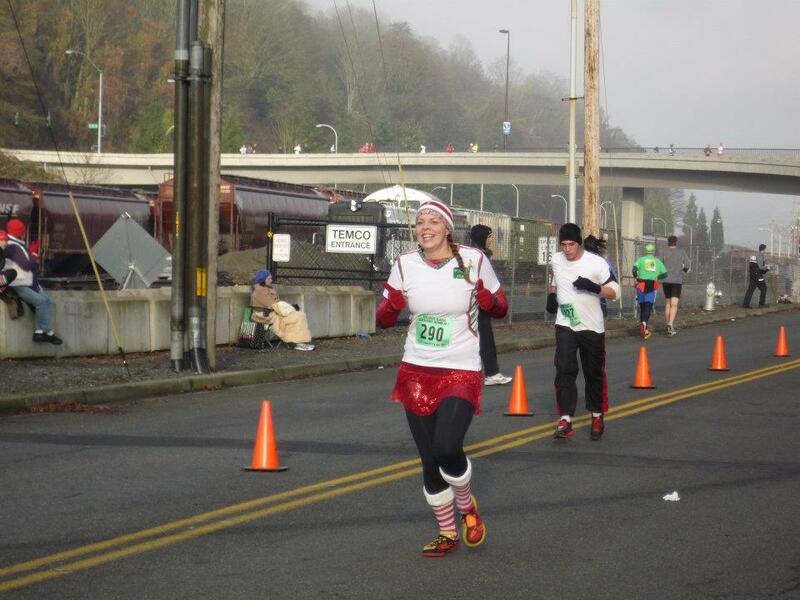 Speed up and Finish Sub 23 or TRY one more time to help Kim. I STOPPED...yes I stopped in a 5K when I felt great... I had visions of crossing the Finish with my buddy. When I saw her it was clear that she did not feel well :( We could still make it if we could get back to the pace... I had no tricks, no clue what to do... so I went on.. I had so much left in the tank..
Up the Hill FAST past a few men and ZOOMED down..
Kim had placed 1st in her Age Group!! And I took 3rd!! Along with Alma and her Aunt!! Looking at the stats had I really raced I may have been able to move up 1 slot, but the winner of the 30-34 got a 19:56 which is 6:26 pace.. 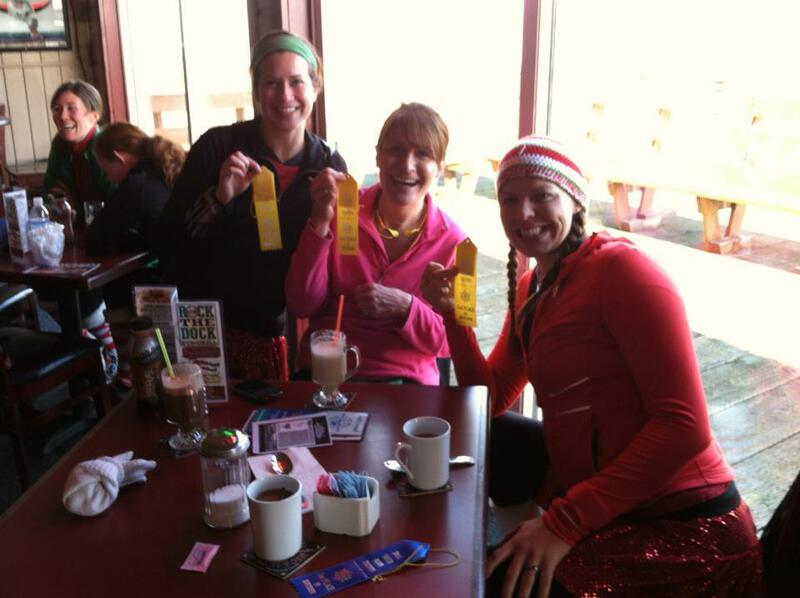 The overall female winner got an 18:26 for 5:57 pace... FAST FAST ladies!! We played around the dock.. The sun came out so we took one last photo.. Such a FUN DAY!! This race made me realize that I want to RACE again I want to train and push myself.. but not in a Marathon.. March 17th the St. Paddy's day race is on this same course... 3 months to get some SPEED and see what I can do.. Wish me luck!! So I thought I would join in the fun. 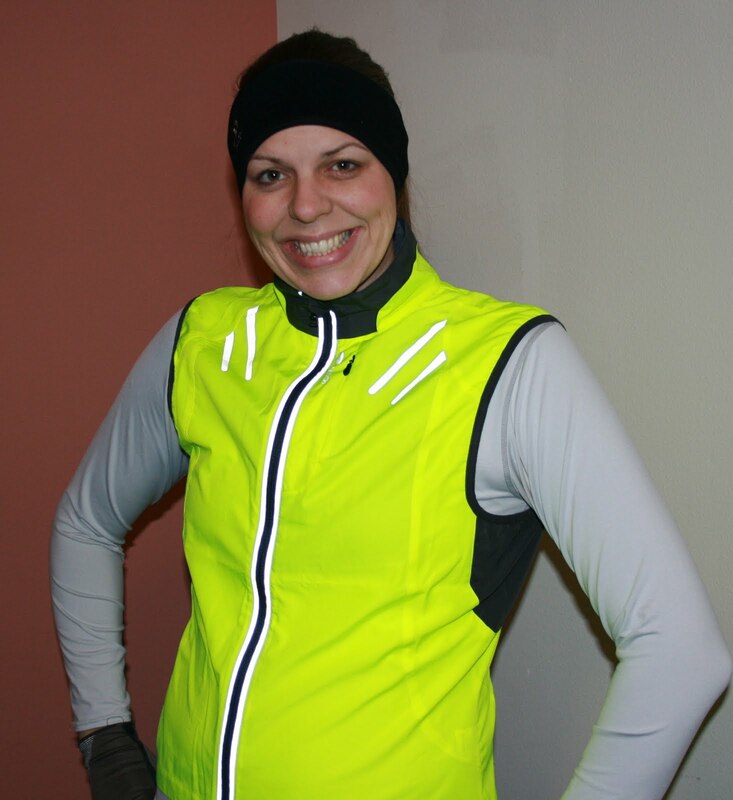 I ordered a hat from a high school friend who knits, and plan to wear my Run Pretty Far shirt as a base layer... I had an old dryfit white shirt I wanted to re purpose.. I went to WalMart in search of puffy paint and ribbons, nothing good.. BUMMER!! Got home and realized my glue gun went MIA.. UGH!! I am not very artistic at all...but I have paint and paint brushes...so I got to work..
Front of my shirt...had to include Tall Mom in there.. The paint skills are rather Kindergarten but hey I will be running FAST.. 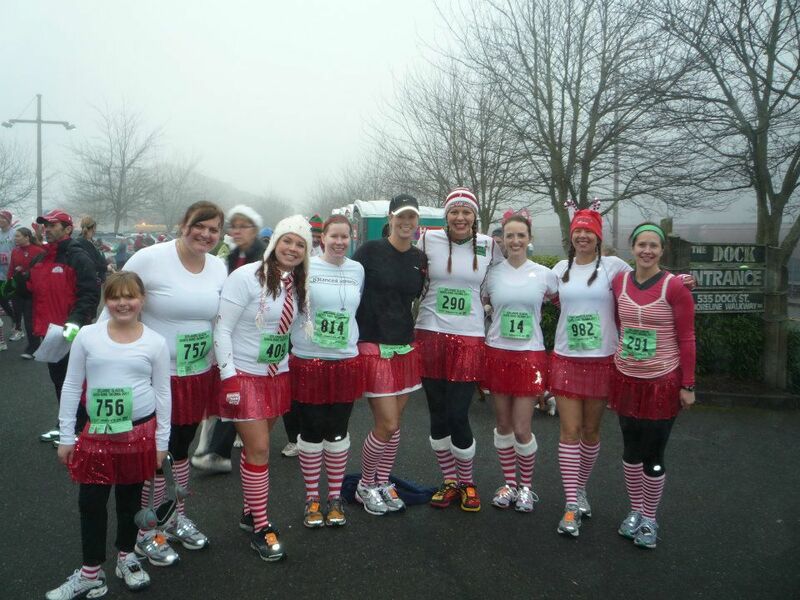 Team Sparkle Skirt, Green Silence Shoes and socks from Target thanks to Zoe.. I had an idea...so I went with it.. This shirt may make people want to pass me more, we'll see. I just want to make people laugh.. Handwriting aside I think that I did OK considering I didn't spend a dime on my shirt.. The state of one's ideas, the facts known to one, etc., in having a meaningful interrelationship. When I was younger I had thoughts, ideas, ways of seeing the world. Today I am a very different person. I read a face book post where someone said they were "Having the worst day of their life!" WOW!! Thinking back to the worst day of my life, when my Dad died and the days that followed, I cant imagine what happened to this poor person.. but really it is all about perspective.. If you have never had something truly bad happen to you, you come from a different perspective. The "Worst Day" could be getting in a car accident, having a bad haircut or getting fired... Then there are the EXTREMES people have gone through, like natural disasters, being diagnosed with cancer or worse... Who knows?? Your vision and how you think are shaped by the experiences YOU have had in YOUR life.... YOU, along with your thoughts are constantly changing..... new filters, filters being knocked down, with each step your mind is working overtime..
How does this relate to running??? While training for Marathons I felt like it was not worth lacing up my shoes unless I was going to run a minimum of 3 miles. Funny how the same distance can be a MOUNTAIN for one person and a pebble for another... and in the examples above both of those people are/were ME. Yesterday I was SLEEPY in the morning so I didn't run, busy mid day and had an event for my Big Girl job after work... 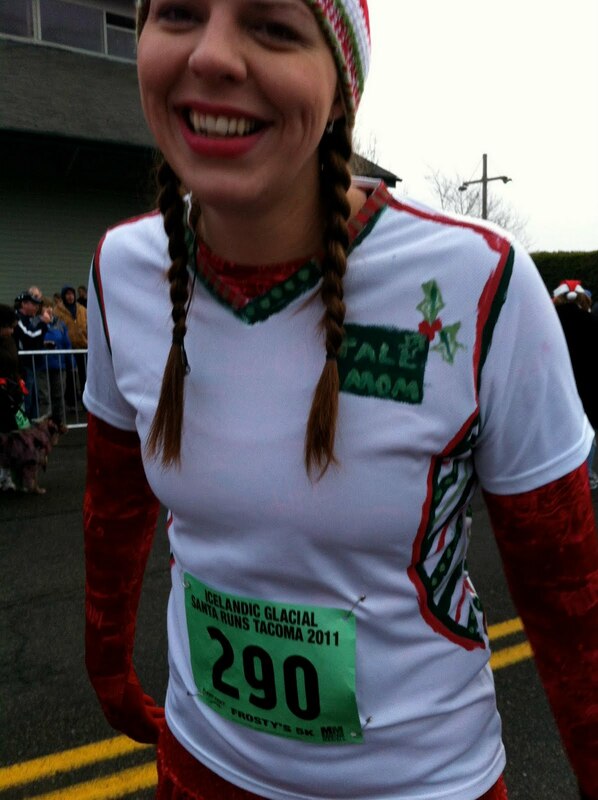 I wanted my CHALLENGE to continue, to run every day in December.. I knew that I would be able to fit it in. The instant I came in the door I kissed Muscle Man, went up the stairs, got changed and started the treadmill. This 1 MILE represented me keeping my end of the bargain. Of reaching for a new goal. you will think that you are the highest point. most things are keyhole shaped. the things they are better than. but you still have to mow it. or twice as large as it needs to be? that he is wiser today than he was yesterday. My play was a complete success. The audience was a failure. The ground below is much prettier. How has your perspective changed in life and/or running? I am going to extend the Book Giveaway HERE, so go enter!!! The packing is so fun totally made me feel like I was on an adventure!! And look at these pretty new toys!!! 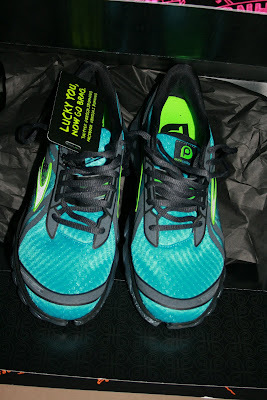 I could not wait to put them on.. TWO THUMBS WAY UP!! It is no secret I am a devoted Brooks Shoes FREAK.. I generally wear size 10 1/2 in Brooks so I was a bit sad when this limited release pair came in a size 10.. But maybe they knew something I didn't about the sizing?? So I got ready.. I feel bad that the maiden voyage was on the treadmill...but hey it will keep them clean.. They go well with my Razzy Roo Bad A$$ Socks HERE. 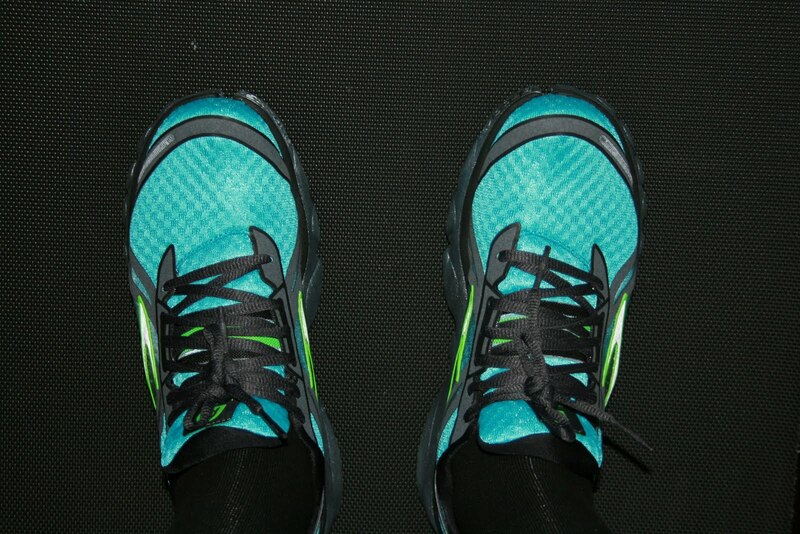 I took them for a 2 mile test run... I will have a FULL REVIEW soon, after the first wear I was super pleased.. but generally I like to put in at least 20+ miles before I cast my verdict. Want to learn more about the PureCadence?? Lean construction fuses with a responsive fit in the PureCadence. For Guidance to Support runners, this shoe delivers more support through smart, streamlined features such as a wider Nav Band that’s locked in to the medial strike pod. A reinforced heel counter secures the foot and the internal PDRB helps prevent overpronation. The PureCadence gives runners who need more stability the chance to experience the feel of a natural foot strike with a lightweight, breathable shoe. Just like our core line, we hold PureProject to the industry’s highest weartest and durability standards. 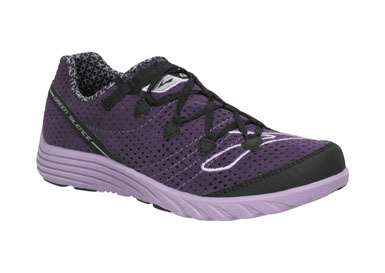 Because of their lightweight construction and fewer materials, runners should generally expect shoes from the PureProject line to last approximately 250-300 miles. As I was approaching the end of my Run Little Stud #1 kept asking when I was going to be done.. I answered, he asked AGAIN, I answered AGAIN, he asked AGAIN.. I SNAPPED!!! "Stop asking me, you are going to make me fall off the treadmill!!!" Not one of my finer moments in parenting.. So after my run I apologized and told him that the treadmill was all his.. He set out without a real goal and was plugging along, hit .25 at about 15 minute mile pace.. He usually makes it about 1/4 mile before getting bored and stopping.. This time he kept on. I explained that he could make it a mile if he kept going.. He took the CHALLENGE but then got a side stitch so he slowed the pace. 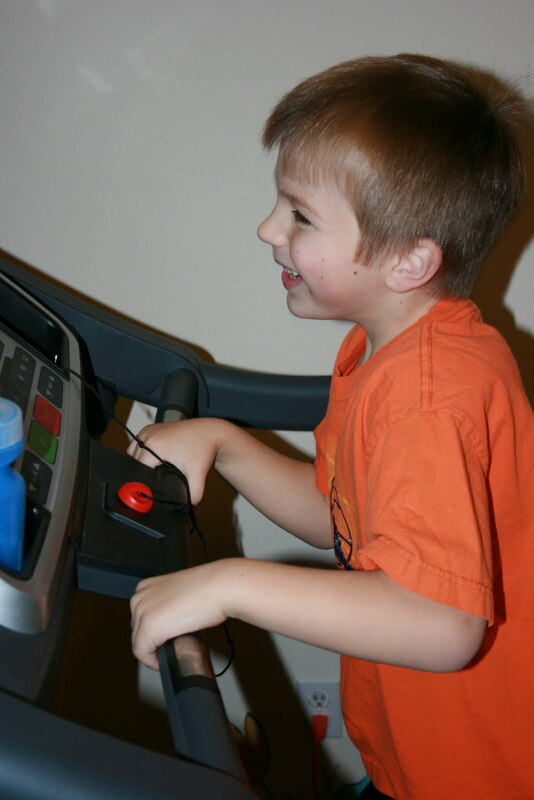 He thought that he would get to a mile at 15 minutes so he used the Treadmill display to do Math. He is pretty darn good at Math for a Kindergartner!! 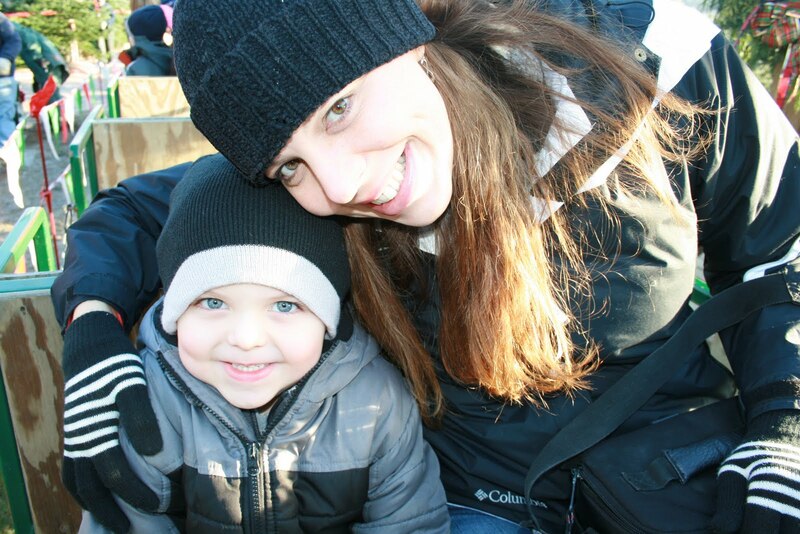 I look forward to the day when he WILL run a race with me.. For now I am CHERISHING that he is still little... and I will avoid SNAPPING at him next time he wants to run.. Bad Tall Mom!!! **I was sent the PureCadence Shoes free of charge however I was not compensated for my review, the views expressed are my own. 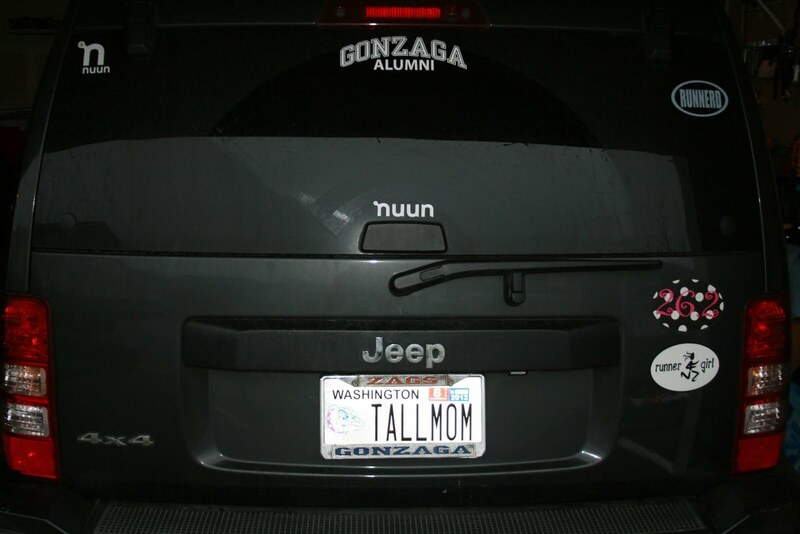 Yes I am a Runner and you can tell from my Vehicle. If you like me on Facebook HERE then you have already seen these photos.. But there is a story. I have wanted Gonzaga license plates since the day they came out, years ago.. I loved my time at Gonzaga... I kept hinting to Muscle Man but the cost seemed a little excessive. 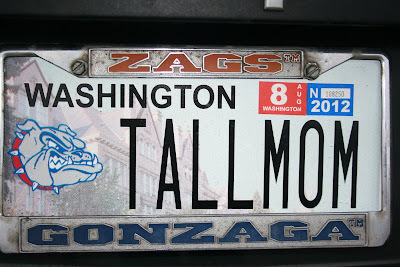 Bless him he took the hint and ordered me special Gonzaga plates... for my birthday back in JUNE!! Way to go DMV.. They finally came!! I am happy to report that the STREAK continues.. Days 10 and 11 were 3 milers completed in my neighborhood, nothing too exciting to report.. Today I am feeling a little sore and under the weather, so I may just do the minimum 1 miler tonight.. We'll see..
Do you have anything on your vehicle that shows your Runner(d) Pride? Don't forget to enter my GIVEAWAY HERE for an Autographed Copy of "Long May You Run"
Then Muscle Man said he was going upstairs to workout his arms.... So I peeled my overly SLEEPY self off the couch and got on the Treadmill. There is something about knowing I only have to do 1 mile to keep my streak going that makes me feel GREAT.. I started the first .75 barefoot...my toes started to burn so I put on shoes, sped up and finished my run.. Day #9 and going STRONG.. I could have used many excuses not to run and I ALMOST skipped it. Have an amazing weekend my friends. Race weekend next weekend!! YIPPEE!! Day #7- 5.1 miles with Kerrie, Zoe & Goober.. Since I started Running nearly 4 years ago I have never run 7 days in a row. I love my rest days. I am in new territory here and it is EXCITING..
You see I had lost "IT" in my Running Life. IT is the want to lace up my shoes and go. IT is believing in my power to venture into new territory. IT is thinking about running with a smile. IT is Running just because I want to run. When did I lose IT? I lost it in May 2010 at the Eugene Marathon. I was totally focused and worked hard for 16 weeks to get the Eugene, I crossed the Finish line and had Qualified for Boston... then I lost IT. I kept signing up for races hoping to find IT again. 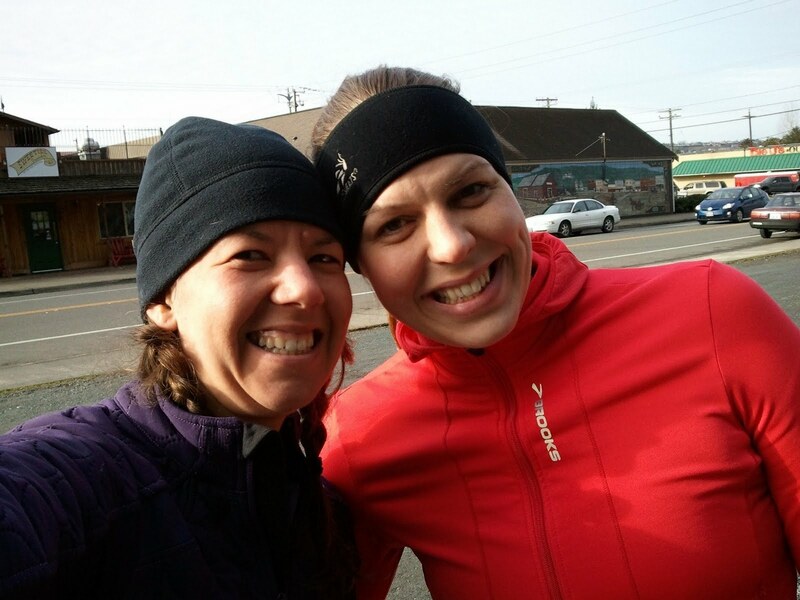 I planned most of my long runs with friends because their energy gave me the drive I needed. I had glimmers, but IT was missing.. 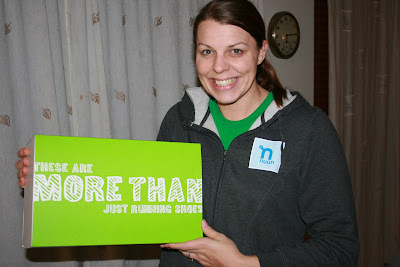 I didn't want to run Boston because I didn't feel like someone who deserved to run Boston since my spark had gone out. Then my Dad died....IT was crushed beyond repair for a long time. The day that registration opened for Boston I was with my family making funeral arrangements and missed the cutoff. As you know it turned out and although Boston did not go as planned I would not change a thing. This year I have been waffling through my running, attaching myself to people and helping them reach their Goals, finding IT through others. 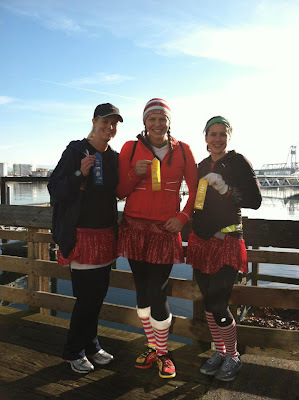 I have had a blast, don't get me wrong, but I knew I needed to reconnect with my running. Running with these amazing ladies. I want to make plans and flex my running muscle. I want to be silly and run in the rain, dark, cold, for hours to earn the post run cup of coffee and steak fries. This CHALLENGE I have laid out for myself in December has been my path back to IT and I am jazzed!!!! Have you lost IT? If so, what action can you take to find IT again? It is no secret that I am NOT a Treadmill fan. I prefer to run outside whenever possible. 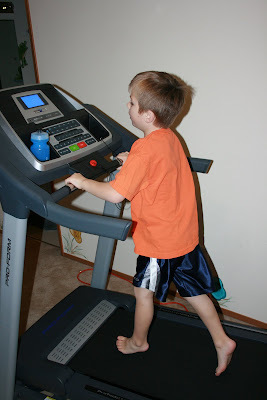 BUT Muscle Man and I purchased a Treadmill (aka dreamill) last year and it has been a nice tool to have. It has taken me a bit of time to find ways to make my Treadmill runs more comfortable, or at minimum tolerable. 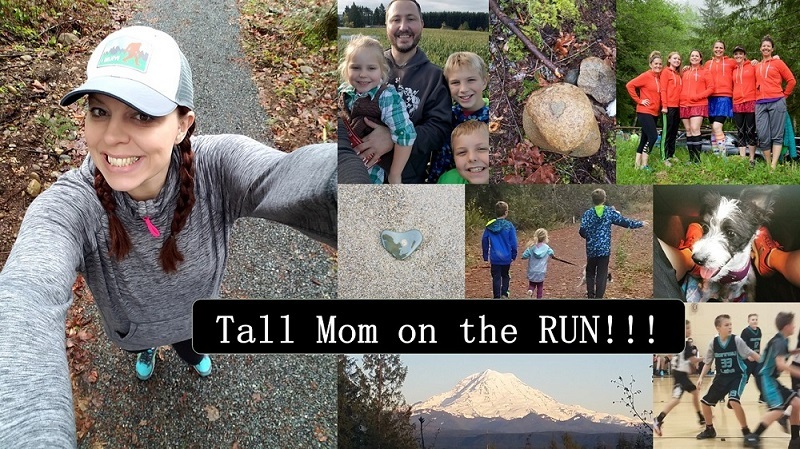 I will never be EMZ and run 100 miles on the Hamsterwheel, but I have a few tips to get through a run at home, I don't run at the gym but I am sure most of these tips could carey over. 1- Get everything ready before you turn on the treadmill. Position the treadmill for the most comfort, this only works if you have an area where it can be moved. We have a large loft so I have Muscle Man move the TM closer to the TV. If you have a show to watch turn on the TV and turn up the volume, have the remote in close range so you can fast forward the commercials if you have DVR. Open a window nearby or grab a fan, keeping cool while running inside is not easy. 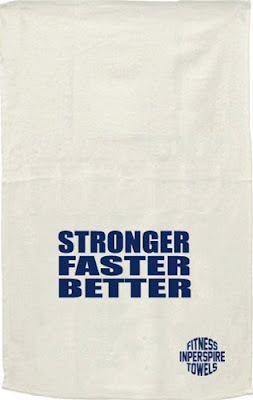 2- USE your Towel!! I use my Inperspire HERE towel for a few things. First, to cover the screen, I will stare at the minutes ticking away if the screen is not covered. Second, to blot away the sweat, I am dripping by the end of the run. 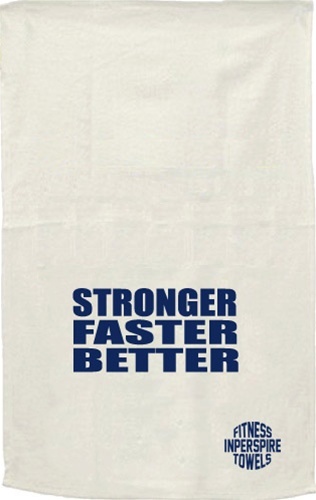 And lastly, for the motivation, "Stronger, Faster, Better." 3- Have your hydration ready. I will go through an entire bottle of water on a short treadmill run. 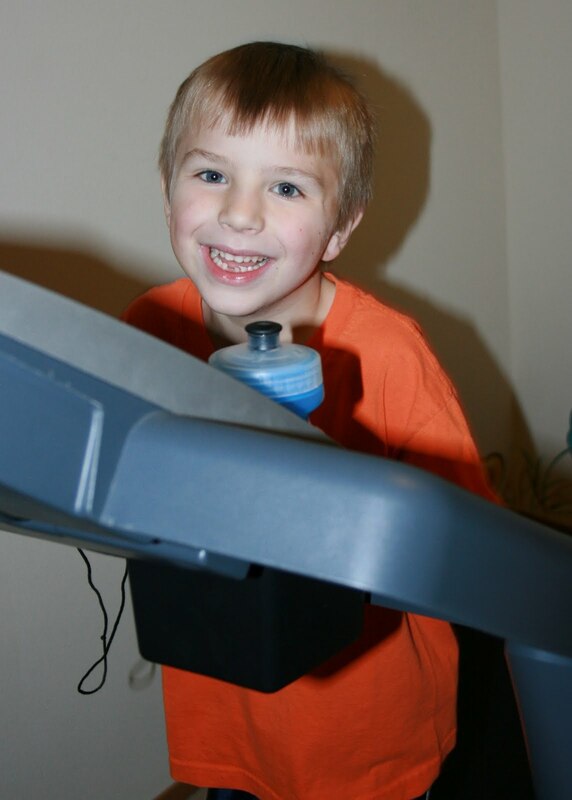 OUr treadmill has a cup holder, my Nuun HERE bottle fits perfectly. 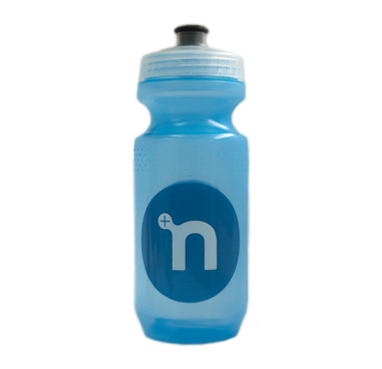 FYI you can still get Free shipping at Nuun from now until 12/9. 4- Wear the right shoes. 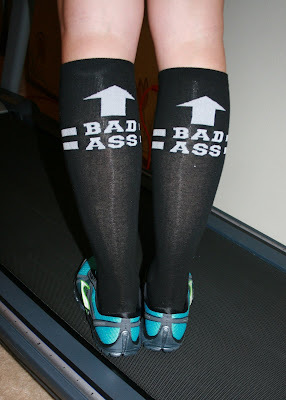 I am a heavy girl, the treadmill emphasizes every footfall. 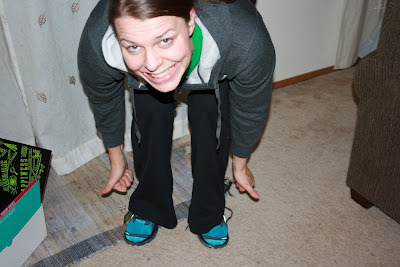 If I wear my road shoes I am clomp, clomp, clomping the whole time. 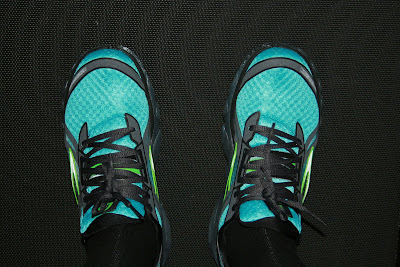 My go-to shoes for the Treadmill are my Brooks Green Silence HERE. They are light weight, breathable and most importantly as the name says SILENT. 5- Wear the right gear. At home I will keep it simple with a pair of midlength spandex shorts and a compression tank top. No extra layers to make me heat up. Target has some great gear for a low cost. 7- Play with the speed and incline. There are some fancy programs on treadmills, I need to read the manual to learn all about what the machine can do. 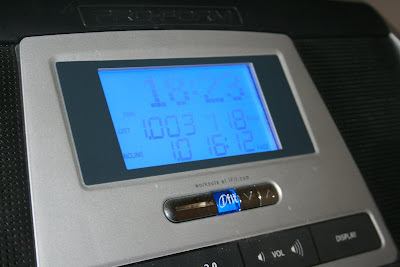 What I do know is that I can play with the speed and incline throughout my workout. Slower with more incline. Warm-up then do intervals. Shorts bursts of speed. A steady training run at goal pace. The options are up to you. I like to do most of my speedwork on the roads, but the Treadmill is a GREAT tool when you want to test your limits. 8- Imagine you are somewhere else. 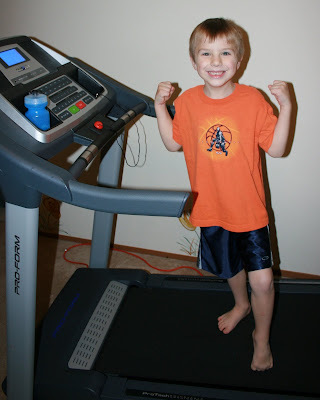 Running on the treadmill is really mental for me. I know how easy it would be to stop, give up, quit....but I also know how good it feels to push through. Watching a TV show or movie helps me to go somewhere else. 9- Have a Goal before the run and stick to it. Whether it is to run for "X" amount of minutes or at "X" pace, fight through and meet that goal. 10- Just do it!!! 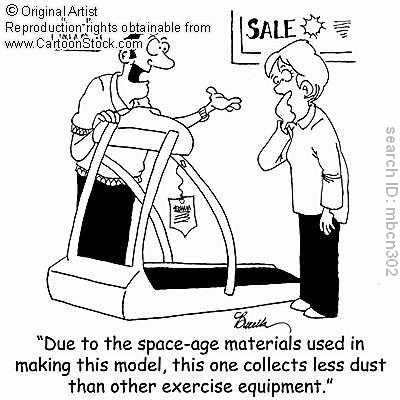 Dust off your treadmill and RUN.. This time of year it gets dark early, it is cold and wet, in most places.. Get your run done!! Like these tips?? I know where you can find a book with tips like these and much much more. Including quotes and advise from professional runners. 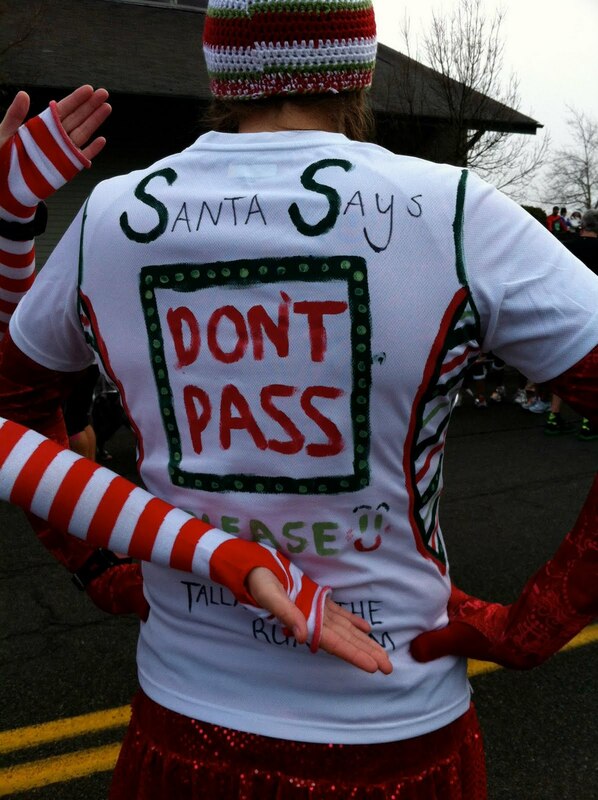 Long May You Run goes beyond the basics of running, training, and racing. It is a collection of essays, stories, statistics, humor, resolutions, achievable goals, and advice on nearly 200 separate topics to help you fill the gaps in your running life. 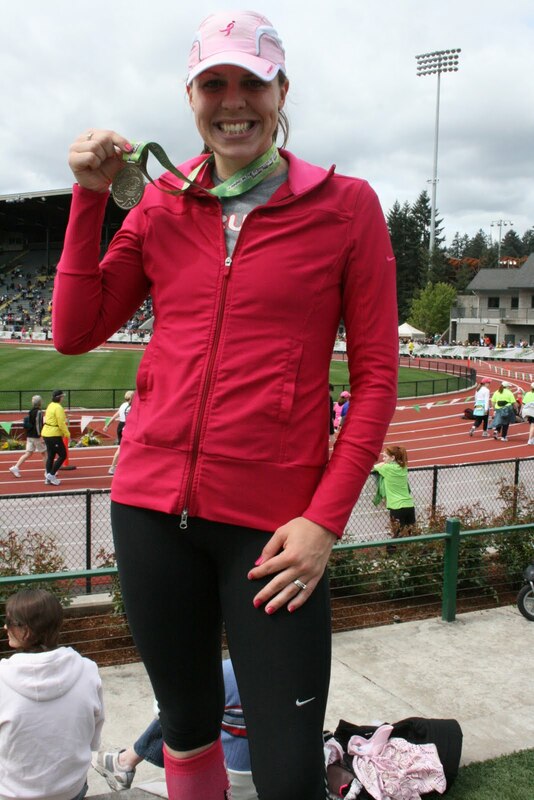 In addition, you will be inspired and challenged by the recommendations and running tips contributed exclusively to the book by these Olympians and running authors. ****Thanks to the awesome author Chris Cooper you have a chance to WIN!! 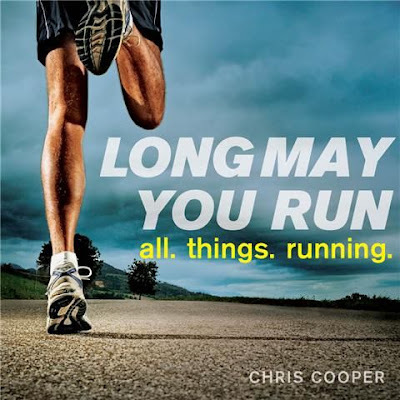 1- Autographed copy of "Long May You Run"
1- Like Chris on his Facebook page HERE, optional- leave a comment for Chris while you are there, ask him a running question, etc.. up to you. Leave a comment here to get an entry. 2- Read his Blog HERE, come back and leave me a comment about something you read. 3- Answer the question- What would you like to read about in a Running Book? Leave a Comment. 4- Like Tall Mom on Facebook HERE. Leave me a Comment to let me know.. So far on my December CHALLENGE I am 4 for 4!!! Day #2- 3 miles solo run on my lunch break, I want to get in shape to pace Kim so I took this run as speed training. 3 miles in just under 24 minutes was TOUGH!! Felt good to get my heart rate up! Saturday and it was time to go to the Tree farm for our annual family adventure. 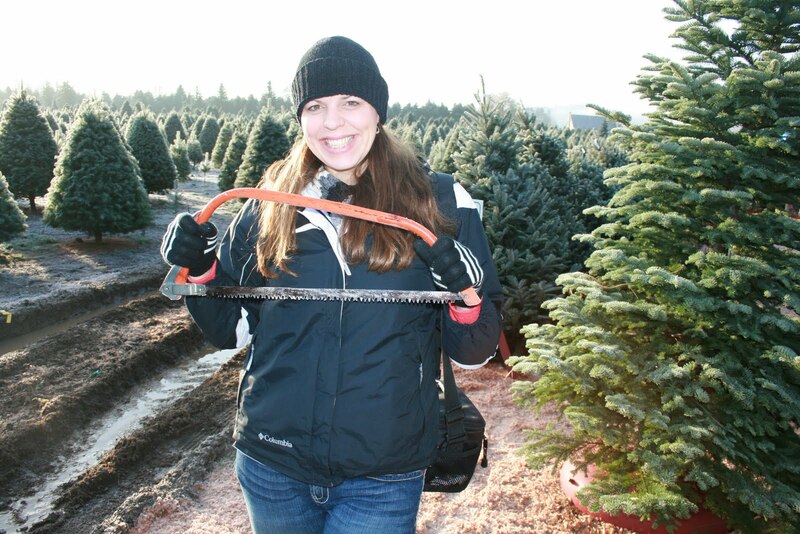 We live just 15 minutes from multiple Tree farms, we go to the one with the train that carries us out to look then picks us and the tree up. On the train, LS#1 wanted to sit near the conductor. 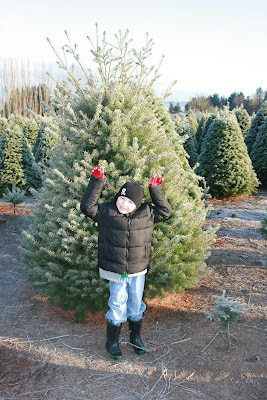 LS#2 making the cutest little face, barely looks like him..
LS#1 is just like me, he LOVES to pose for pictures, in this photo he is pretending to be the CRAZY tree.. Love him..
After the adventure at the tree farm I had to hurry to get ready to attend the funeral of a family friend...not a fun mid-day activity... the daylight hours ticked away and I thought I was destined for a treadmill run. 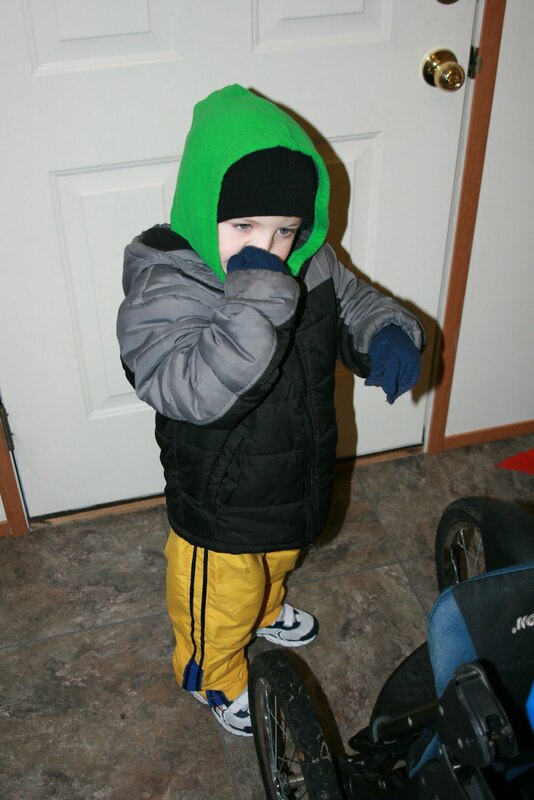 Day #3- 2.1 miles we opted to get bundled up and tour the lights in our neighborhood. It is nice to know that once I hit 1 mile I have met my challenge for the day.. 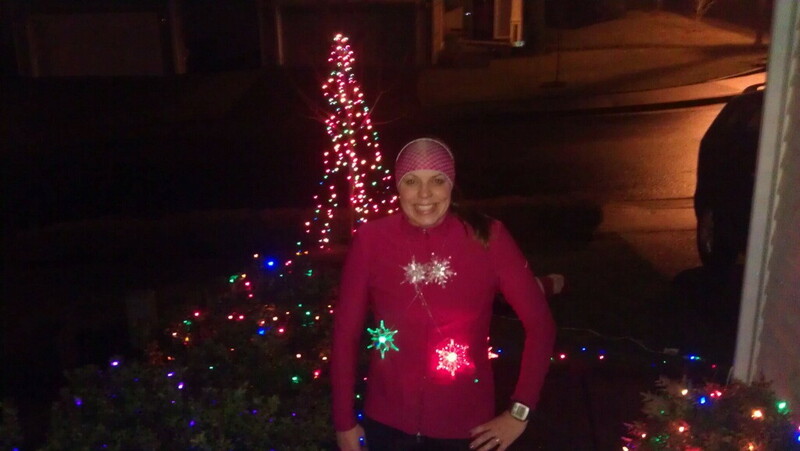 This is how we looked..
Love my Sugoi vest, easy to spot in the dark. Funny how I posed in front of 2 different colored walls. Muscle Man sporting Gonzaga and Fleet Feet, he did the HEAVY pushing up some killer hills. 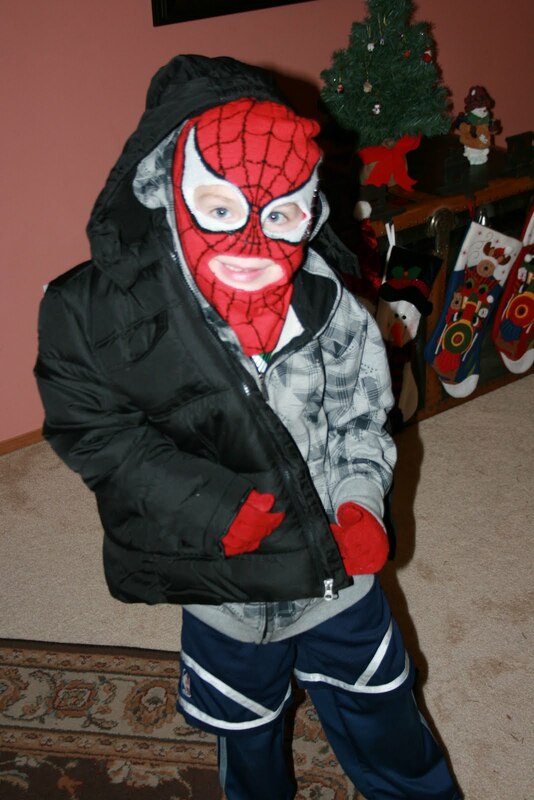 Yes LS#1 has on a Spider Man bank robber style mask.. it is just too darn cute, keeps his little face warm..
Itchy nose little guy ready to go!! He loved looking at the lights. They were starting to get a little chilly so I dropped them off at the door then ran to get the mail.. Family time and errands, score!! Sundays can be pretty busy, I was planning to meet Kerrie and Zoe but I also wanted to SLEEP!! So I bailed out and relaxed in the morning with the family. This included decorating the tree and our house. It takes a long time but is so fun once it is done!! 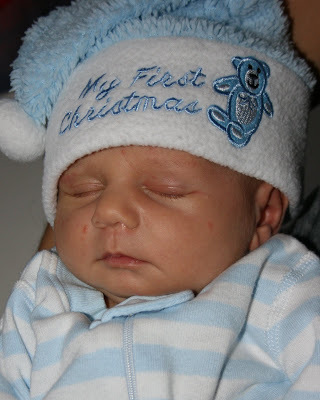 Mid day I went to visit a good friend who just had a baby, so fun to snuggle with her little guy.. he is too cute!! Once home it was dark and the kids needed baths. 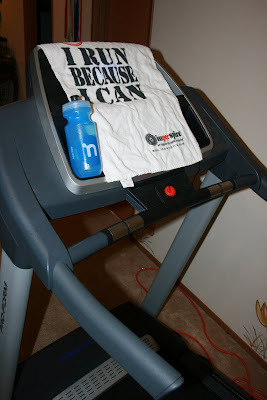 Day #4- 3 miles, put the kids in the bath, pulled out the treadmill, and watched House in DVR. I had to get off for a minute to wash hair, fell off the treadmill pointing out LS#1's socks and finished with 2 boys begging to run on the treadmill. 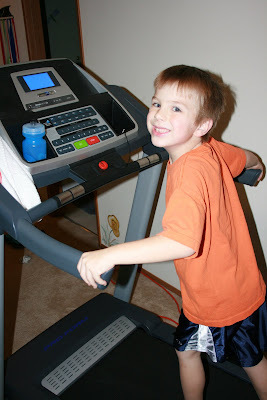 Yes I was parenting from the Treadmill and I got in my run!! ****Looking forward to Day #5 for a 3-5 mile lunch run today...it is chilly here..
How are you doing with the Challenge?? FYI did I tell you that walking miles count too?? 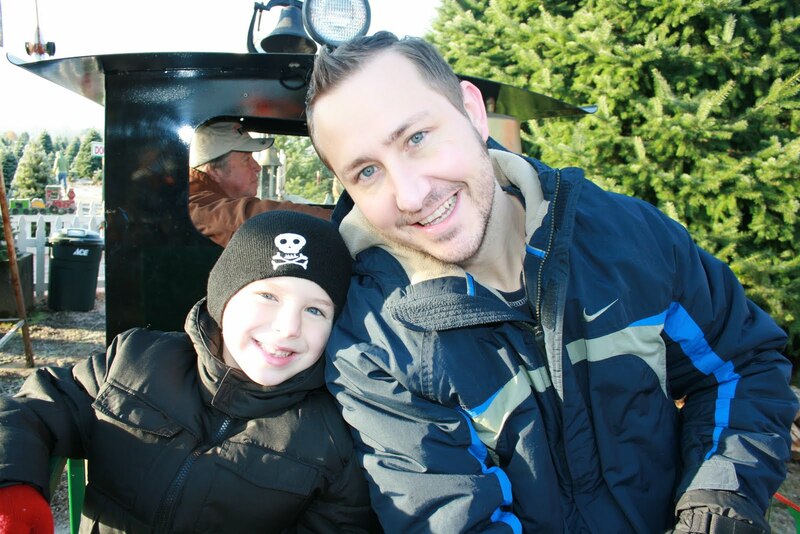 What family traditions are you looking forward to this time of year?